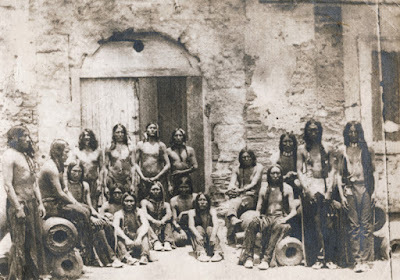 On May 21, 1875, seventy-two Native Americans arrived in St. Augustine, Florida, to be held as prisoners at Fort Marion (now called by its original name, Fort San Marcos). 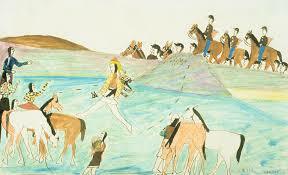 They had traveled over a thousand miles by wagon, railroad and steamboat from Fort Sill, Indian Territory (now Oklahoma). 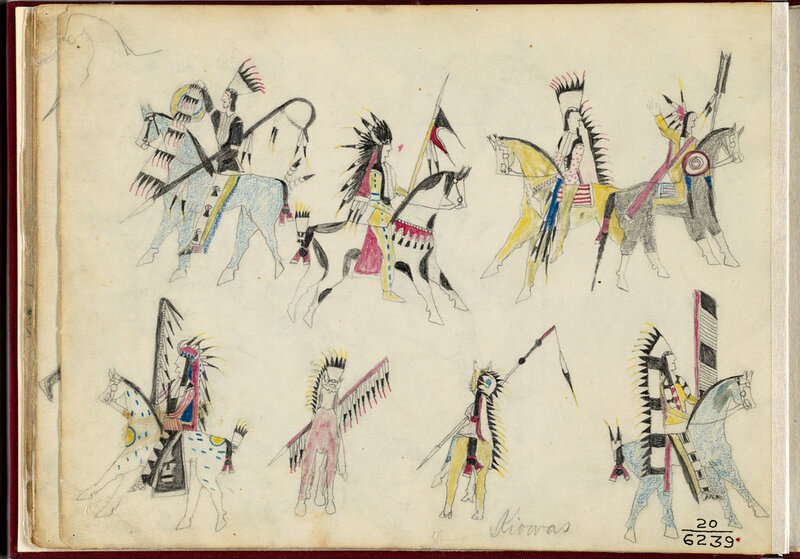 These Native Americans had been chosen at random from other Indians captured during the 1874 Red River War of the Southern Plains. 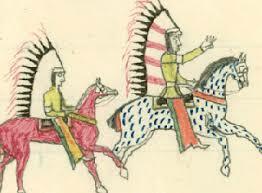 The group included so-called ringleaders of raids on white settlers and included representatives from five different tribes - Cheyenne, Comanche, Kiowa, Arapaho, and Caddo. The Native Americans, shackled in chains and heavily guarded, slept on the dirt floor of the fort. When Lieutenant Richard Henry Pratt of the 10th Calvary was given charge over the prisoners, he improved their living conditions. The prisoners were unchained and allowed to move more freely around the fort. They were also given wood to build their own barracks on top of the gun deck (terreplein). Lt. Pratt issued the prisoners military uniforms and had their hair cut. They were organized into guard units and taught to perform daily drills, engage in morning exercise routines and were subject to daily inspections like regular soldiers. In addition, Pratt organized camping bivouacs for the Native Americans on nearby Anastasia Island and taught them how to sail and fish. Pratt believed Native Americans could be educated, so he recruited local teachers to come teach the English language, along with other elementary skills to the prisoners. Several of the fort’s rooms were turned into classrooms and one was converted to a chapel where local ministers would preach the gospel. Although Pratt’s goal was to “westernize” the Native Americans with his theory, “kill the Indian, save the man,” his approach to their treatment was more humane than many of his peers who did not see the Indians as human equals. 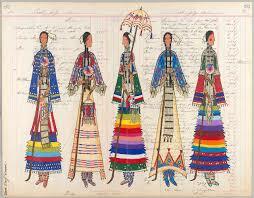 Many of the Native Americans were accustomed to telling their stories by drawing on buffalo hides. 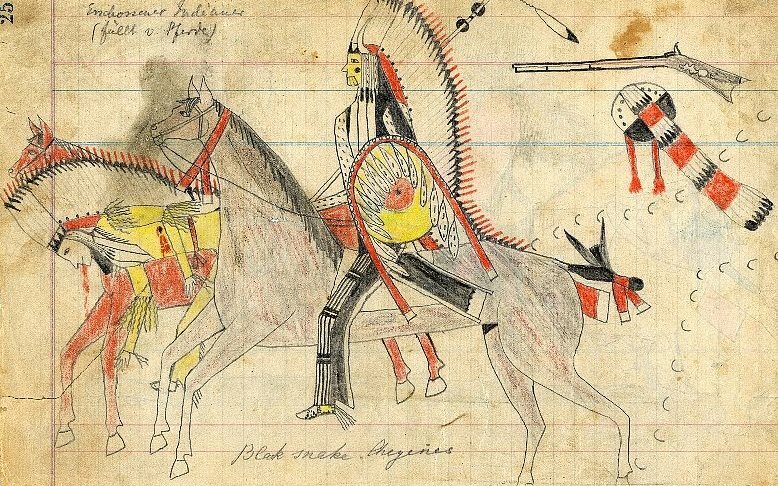 Pratt encouraged their drawing skills by giving them pencils and paper from ledger books to use and later, sketch pads. In this way, the Native Americans preserved the history of their life on the plains, their journey to Florida and their life at the fort. Several of the Indians achieved some fame with their artwork. Three years later, the prisoners at Fort Marion were released to the care of the Indian Bureau. Many returned west, but 22 expressed a desire to stay in the east and continue their education. Pratt made arrangements to have their education funded by white citizens. He convinced the superintendent of the Hampton School, a Virginia school started for freed slaves after the Civil War, to accept seventeen of these men as students. The remaining five went to live with families in the northeast. 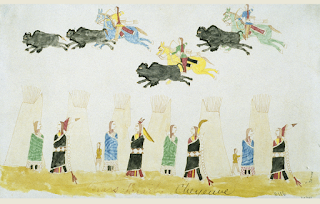 Have you ever heard of ledger art? 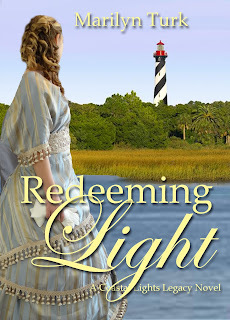 Leave a comment for a chance to win a copy of my new book, Redeeming Light. Cora Miller, a recent widow, moves to St. Augustine in 1875 with her young daughter to start life over as a single mother. She opens a fine millinery shop and seeks the business of affluent town society. An unfortunate incident during the arrival of Indian prisoners results in Cora meeting a group of wealthy tourists. When Daniel Worthington accompanied his mother and sister to St. Augustine, he didn’t expect their trip to coincide with the arrival of Plains Indians at the fort. But concern for their plight prompts him to use his art training to help the prisoners communicate. He has little interest in pretty hatmaker Cora Miller, who has no sympathy for the Native Americans and is only concerned with frivolities. But seeing her with a benevolence group at the fort, his opinion of her begins to change. Just as Cora’s business is picking up, her wealthy customers report the theft of their jewelry. When the jewelry mysteriously appears in her shop, she is afraid of being accused of theft. What will happen to her if no one believes her? Will she lose everything she’s worked for, or will someone step up to her defense? Thank you, Marilyn, for sharing your very interesting post. I have never heard of ledger art but find it fascinating. Melanie, glad you enjoyed the post. Thanks for the comment. Alison, Thank you for your comment. I've been to St. Augustine, but I've never heard this story. Thanks for the interesting story about these talented Indians. Thanks for your comment, Betti! 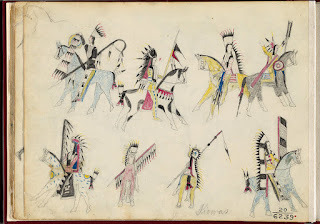 Ledger art is new to me. Thank you for sharing this post. 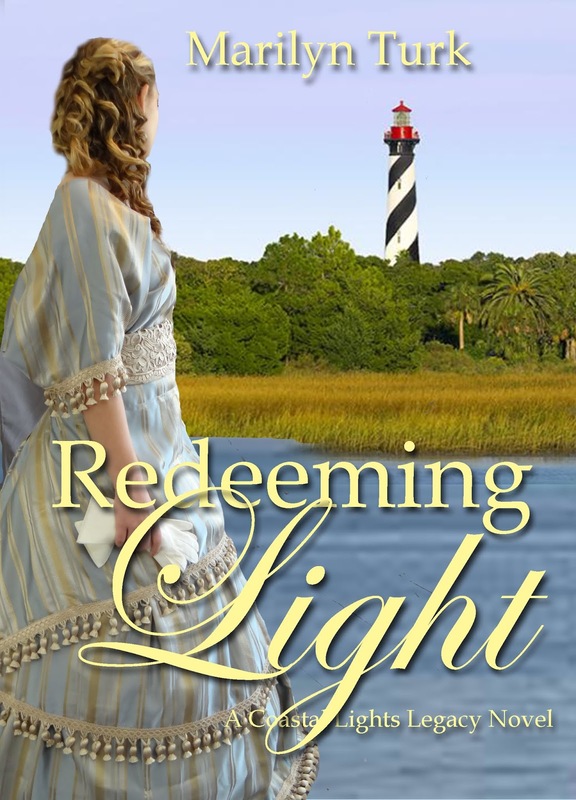 I'm looking forward to reading Redeeming Light after reading Rebel Light and Revealing Light. This series has been a superb historical read. Our mother has enjoyed the books, too. Thank you for the giveaway.